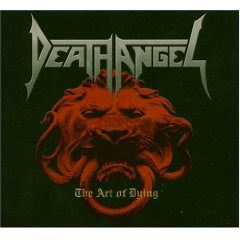 Hall of the Mountain King: Review: Death Angel, "The Art of Dying"
Review: Death Angel, "The Art of Dying"
Death Angel was perhaps one of the most underrated thrash bands of the late 1980s. Coming out of the thriving thrash scene of the San Francisco Bay Area, the members of the band were young phenoms. At the time they recorded their debut, 1987's "The Ultra-Violence," drummer Andy Galeon was only 14. Their two follow-up albums 1988's "Frolic Through the Park" and 1990's "Act III" are classics of the genre that belong in any thrash fan's collection. But a bus accident that sidelined Galeon for a year also fractured the band. Several of the members went on to form the short-lived band The Organization, but it didn't have the same spark. Now, 14 years later, Death Angel has reunited to unleash their fourth studio album, and not a lot has changed - either in the band or in the music. 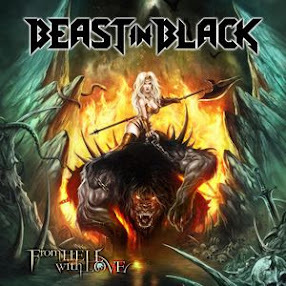 The album picks up right where "Act III" left off with the same big lightning-fast riffs and catchy vocal melodies. Tunes like "5 Steps to Freedom," "Famine" and "No" are like hopping in the wayback machine and jumping back to 1990. The semi-ballad on this album, "Word to the Wise," doesn't play as well as softer songs from their past like "Veil of Deception" from "Act III," but it's still a solid effort. If there's one knock against this album, it's that it does sound dated. It's unapologetically a late '80s thrash album. My only complaint is that we should have gotten this album more than a decade ago. Get "The Art of Dying."